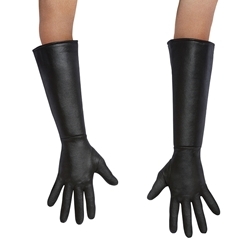 The Adult Incredibles Gloves are a pair of Black Adult Size Super Hero Gloves as pictured. These officially licensed Gloves are the perfect finishing touch to an adult’s Incredibles Costume. Whether dressing up as Mr. Incredible, Mr.s Incredible, Violet, or Dash, these gloves will complete that super hero look. Save the world as an Incredible family member this Halloween!